I am a fan of author Steven Covey who wrote an amazing book for entrepreneurs titled “7 Habits of Highly Successful Network Marketing Professionals”. This MLM masterpiece book details the success life stories of individuals in multi level or relationship marketing. Taking the time to read books on how to be a successful entrepreneur are vital if you want to succeed in Network Marketing. Training is key and reading books like these are helpful. f you have not read 7 Habits then I highly recommend it. I also think it is smart to listen to the video I posted below. 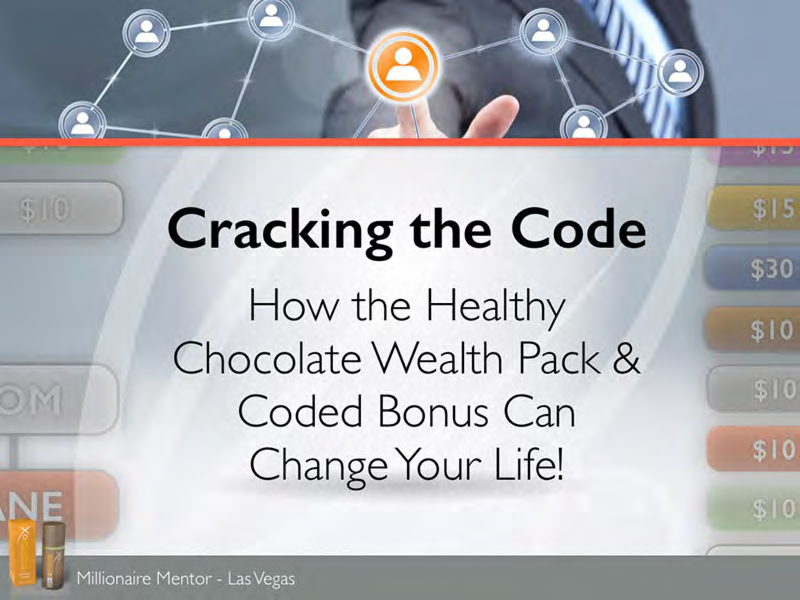 It is of Steven Covey sharing the success story of Jeremy Reynolds and his wife who together have made their fortune with The Healthy Chocolate Company Beyond here in Utah. I have met Jeremy Reynolds at many events and on Royal Caribbean Platinum reward cruises. He is truly an impressive guy. He is the guy you will see helping out behind the scenes You would see him doing what many would consider menial tasks, helping process orders and make sure promoters were able to get the products they had ordered for events. This man always has a smile on his face and his dedication to his team as well as the entire Beyond healthy chocolate organization is phenomenal. I am happy to say I am involved with this amazing organization. This video with Stephen Covey details Jeremy Reynolds success story that was created as a result of his following Habit 2 – Begin with the end in mind in Stephen Covey’s book. I have been involved with the Healthy Chocolate Company for over five years. I became a customer first before it became my business. 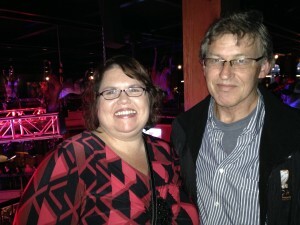 I had no desire to start a Beyond healthy chocolate home business. In fact, if you told me over five years ago that this would become a successful business for me I would have laughed. I could not see the potential at the time but I realized quickly that the products are amazing. I had already worked in corporate America for years and was tired of the corporate grind. I worked for GE Capital as a middle manager and later at uBid online auction as an operations analyst. I lappreciated the opportunity at both companies but honestly I felt like I was losing out. By the time I had kids I was really struggling. My husband and I had infertility problems and it took 7 years for us to finally have our first child. Having to work so hard to have a child, I struggled working away from home with an hour commute each way in Chicago traffic. I now know that you don’t have to give up your career to raise a family or give up your family to promote your career path. We have options! I am very thankful that Rita Wright, a local health food store owner, took the time to share this opportunity with me. Now I pay it forward and share the same opportunity with you. Network marketing can be intimidating to some. It certainly was for me back in the beginning. I did not understand how it worked and how I would actually make money. I was used to a paycheck from an employer. I had no idea what it was like to control my income and finally earn what I was worth. It helped that Beyond products are amazing. First off, they use a patented cold press process to make the chocolate that keeps in the antioxidants from the raw chocolate. The Candy chocolate in stores is heated and dutched at extremely high temperatures for days to make it creamy. Healthy Beyond chocolates don’t have waxes, fillers and processed sugars that are found in candy. Beyond chocolates don’t have added caffeine like most chocolate. These are even gluten-free and diabetic friendly. Healthy chocolates are sweetened with the acai berry and blueberry. For those who love an energy drink, you will love the Xe. Beyond came out with the Xe healthy energy drink that still has a very high antioxidant score. One can of Xe is over 40,000 ORACfn. That is more antioxidants than most people eat in a week. 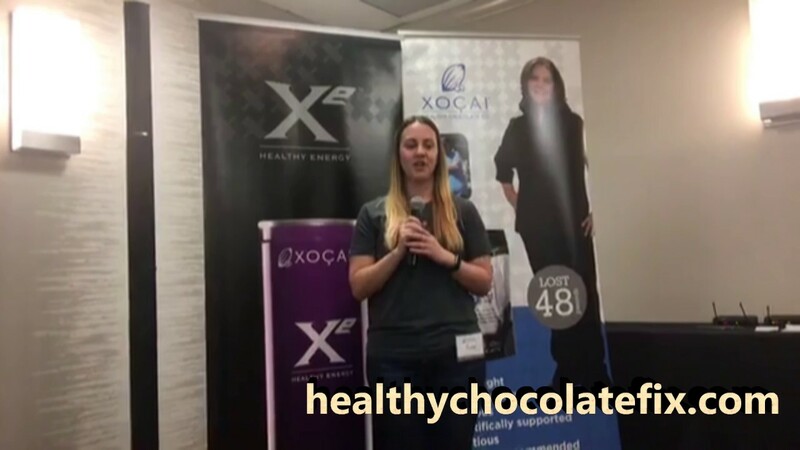 When I realized how our family was benefiting from all these increased antioxidants in chocolate, my business was born and I started sharing how awesome healthy chocolate is. 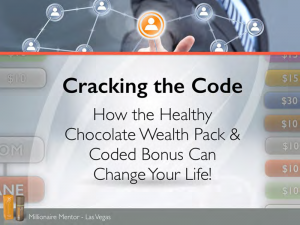 started with the VIP wealth pack which gives you 13 of the most popular products for just $500 including your start-up fees,a website and back office. Add business cards, print up some flyers, a drive to succeed and you are well on your way. For those who need lots of product to get started, you can also get started as a business builder when you come into the business ordering six products and you get three free. Included is your $39 annual wholesale fee which gives you a starter kit, a back office and a website for a full year. Customers and promoters can order online directly at your website or you can take orders in your back office or manually. When you have a business where you can get paid to help others succeed is so rewarding. A business that gives you flexibility to work from home, where you can spend time with your family and do the things that are important to you, is the perfect opportunity for those who want to earn income and have a career from home. Forget the expenses you have to pay with a franchise or a small business. Network Marketing is the way of the future. You have the control. You can get started affordably. You can take this business and run with it. You can earn $500 a week or you can earn millions a year. Jeremy Reynolds did it. Find out how you can do it too! Reach us at 941-216-5727, you can email us at [email protected] or visit us direct at healthychocolate.website. The timing is now. Now more than ever, people realizing the importance of diet, skipping processed foods and feeding your body the fuel it needs, like antioxidants. This healthy chocolate is a high antioxidant superfood.